Her clients found her through researching online as well as friend’s recommendations. And the girls were satisfied with their pleasant encounter with Nichole PSY Bridal Makeup. As described, she is a makeup artist of great responsibility. The outcome was spot-on impressive and natural. She will turn you into a striking princess. His signature hair style is the most sought after Korean concept hair. Soft curls, the modern loose braids, classic low tie-up, Desmond Makeup + Hair realizes the importance of hair on the entire appearance. You will be amazed by his simple elegant style and strong proficiency in blending the skin color evenly. Good makeup is natural to look at and it makes you more attractive. With the combination of slick complexion, sparkling bright eyes and feminine lips, Sharon De'Beauty will make you look as sweet as it gets. Pair with adorable hair styles, it will take years off your face. Jessica's Makeup Zone uses various elaborate techniques to create the desired bridal look. She works with creative lines and dimensions for the hair to stand out. To make the eye makeup look more natural, Jessica uses earthy tones and three-dimensional eye contour. Every woman has her own attractive qualities. It is important to know how to bring them out. Jaimie Yap has a flair for detail-observation and being sensitive to her bride's features. Being versatile and skillful in different styling; grand, casual, themed wedding...she builds a look tailored to each bride. The latest makeup style that gives you the right intensity to look glamorous on camera yet comfortable to look at on the actual wedding day. It is a combination of tricks and skill. Jocelyn accentuates the eyes and face with matching colors, fills the gaps and uses tones in different layers. Skillful: Every facial structure is different, the more you work on different features, skin texture and tones the more proficient you get. 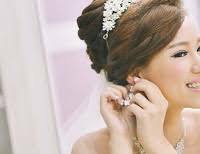 Punctual, speedy, approachable and receptive to every individual needs and distinct features: Ranked number ONE in LookP, it is apparent that Vivi Bridal Makeup is a helpful MUA with amazing skill according to the reviews. WHICH BRIDAL STYLE TO GO FOR? 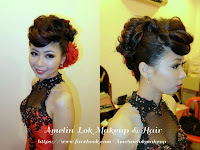 The traditional Chinese; vintage S-shaped hair or the beehive up-style, red lips, rosy cheek. Outdoor; fishtail braids with tendrils, fresh garden flower hair accessories, fresh makeup. Traditional Indian; intense eye makeup with a modern twist, middle parting loose updo. Glamour; side-swept waves and glitz. Fresh Flowers: To display a more natural bridal image. Princess Look: Rhinestone/ crystal tiara and everything sparkly. English-themed: Birdcage veil, pillbox hat is timeless. Gajra (flower garland) matha patti hair jewelry for the Indian wedding. Lace hairband is romantic or the illusive clip. Belle has big brown eyes and long wavy hair. 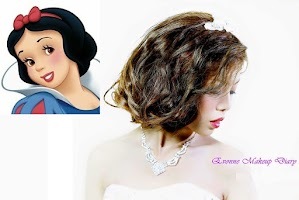 Snow White is a princess who has skin as white as snow, pouty red lips, with thick eye lashes, wears her hair in a bob. Knotted updo bun with a hair band, rosy blush inspired by Cinderella. Pocahontas' long hair is styled all-down and free with a smooth natural finish. Try bold colors to build up the dazzle. Some illuminating effect with highlighter on the cheeks leaves a healthy sheen on the complexion. The dramatic transformation is what differentiates a familiar and plain look from the glamorous style of your dreams. 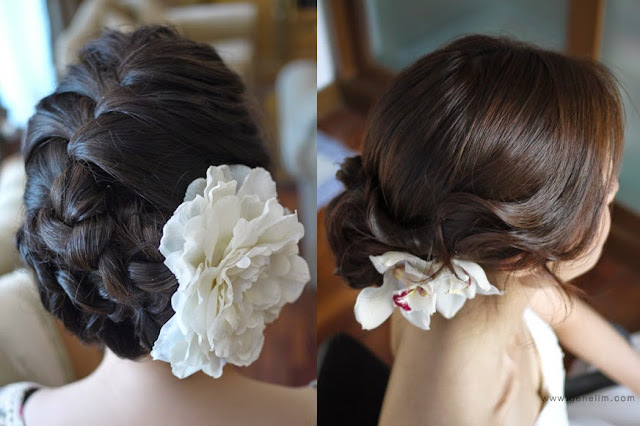 Look at the [Types of bridal hair]; some prefer it curled, straight, fringe, brushed-back, up or down. Consider your wedding dress when deciding a particular style. Steal ideas from the [Celebrities]. Makeup, hair and beauty are an important part of your wedding. Pick the style that fits your wedding theme, location, event and one that you are comfortable with. Get in here for the types of makeup/ hair design inspirational images. When you have all eyes and cameras focusing on you all day, you want to feel confident in your own skin. Schedule your [Label:Beauty] regimen accordingly to avoid unnecessary stress in the last minute; Exercise, facial cleansing, diet, hair care, etc. Making sure your underarms are silky smooth requires TIME - for example, cool down time (for waxing) or testing the effectiveness and pain level. Topics: Waxing - hard or soft. Hair Removal cream. Shaving. Using an Epilator. Plucking with a tweezer, laser treatment, exfoliating scrub, deodarant, makeup. The bride will look exceptionally well groomed with nicely treated [Label:Nails]. Your beautifully colored nails will be captured in close-up shots such as during the exchange of rings. You can go for the UV Gel that doesn't chip for 2 weeks, natural French Manicure or fancy Nail Art. Gather a list of bridal makeup artists online and by word of mouth. Browse through their profile, portfolio, samples of before/ after photos. Compare the quality, reviews, price, etc. 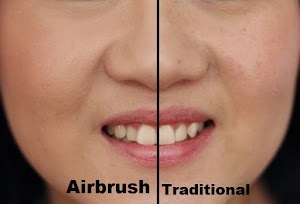 The fine misted airbrush makeup provides a flawless yet natural coverage. It is like tiny pixels, finer than your regular foundation. Traditional makeup with its broad array of products, is more flexible when it comes to controlling the intensity of the coverage.